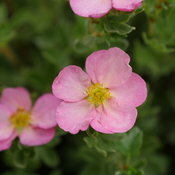 Most people plant potentilla because they just need something tough. 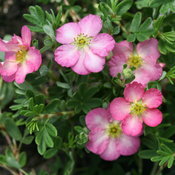 And Happy Face Hearts potentilla is that - but it's also pretty enough to feature in your landscape. 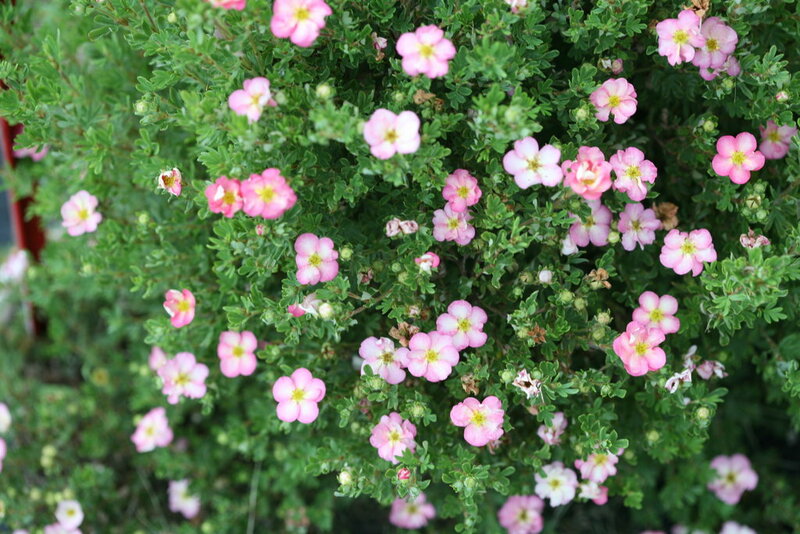 It's covered in large pink flowers from spring until frost. 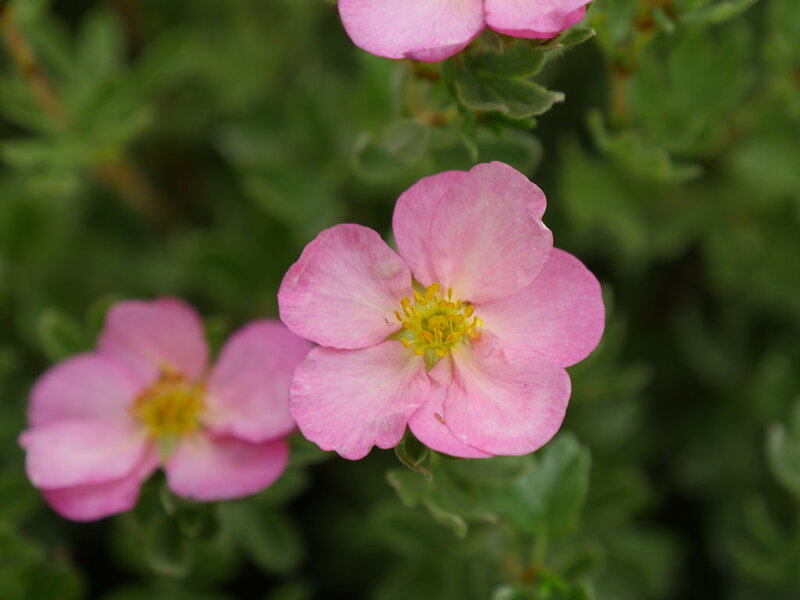 Each bloom starts out with a cheery yellow center which then feathers into white for an apple blossom-like effect. 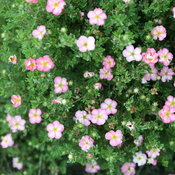 Bright green foliage is lightly furry, which deters deer and rabbits. Available in better garden centers in spring 2018. 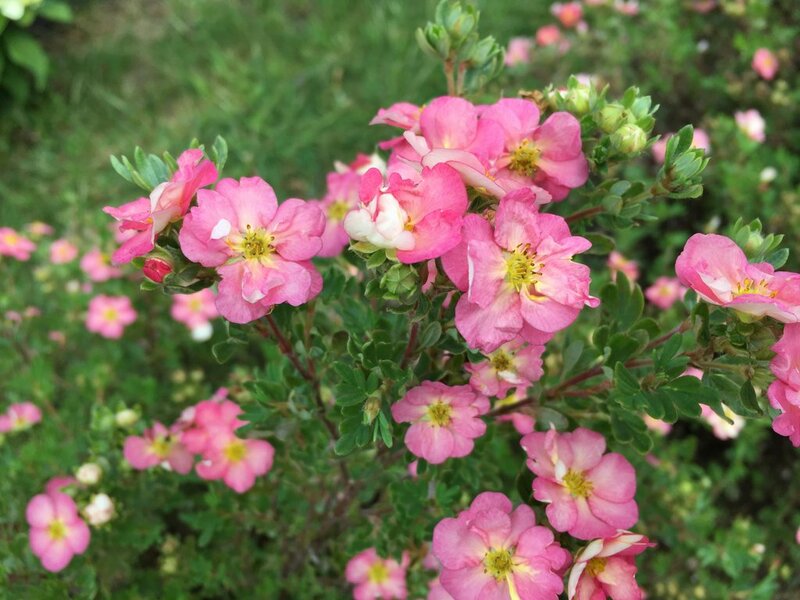 - Pink blooms from spring til frost - one of the longest blooming shrubs you'll find. 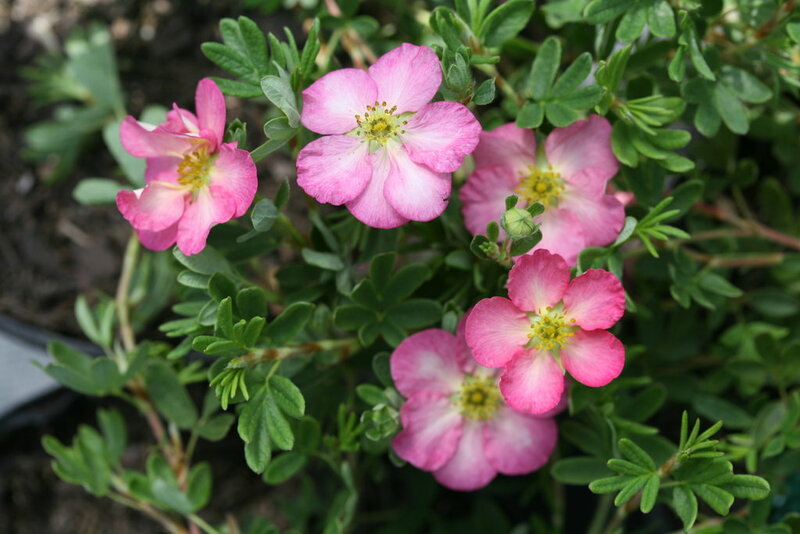 - Resistant to deer and rabbits. 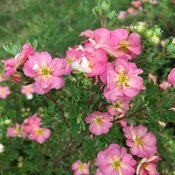 This species of potentilla (now called Dasiphora fruticosa by some) has a huge native range across North America, including all of Canada.